Data collection allows today's businesses to cater to each customer's individual needs and provides a necessary edge in a competitive market. However, any breach in confidentiality can cause serious consequences for both the consumer and the company. 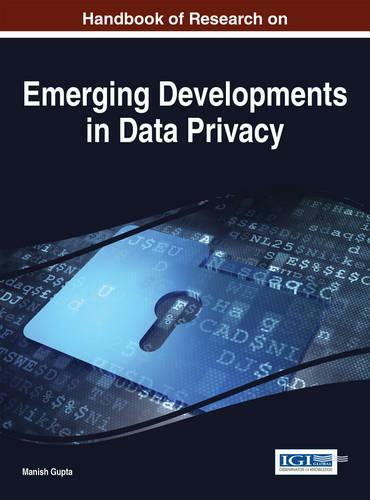 The Handbook of Research on Emerging Developments in Data Privacy brings together new ideas on how to deal with potential leaks of valuable customer information. Highlighting the legal aspects of identity protection, trust and security, and detection techniques, this comprehensive work is a valuable resource for any business, legal, or technology professional looking to improve information security within their organization.